In a popular book that details the scientific quest for the secrets of the Universe, Dennis Overbye, science writer for the New York Times, makes it clear that the search has failed. Overbye readily admits, “in a way this book is about failure.” One reads in the book “about what it’s like to be on the cosmological quest ... [with] the priests and the mythmakers of our technological age”[Overbye, p3] and, upon finishing the last chapter, one is disappointed to find that the secret of the Universe is missing. Standard cosmology has failed, utterly and completely, in revealing the true reality of the Universe —the reality of its fundamental structure and fundamental processes. Along the journey of mankind’s quest for the secrets of the Universe the participants stumbled, misread the clues, and headed down the wrong road. Long ago in the year 1887, cosmologists found themselves at a fork in the road. In that historic year, pioneering scientists misinterpreted a critically important physics experiment. A smaller-than-expected speed for the Earth’s motion through aether-space was duly found and recorded; but rather than suspect some flaw in the instrument’s calibration, the final conclusion of this famous experiment was that the aether motion had not been detected. This conclusion, which became known as the Michelson-Morley “null result,” sent fundamental physics and mainstream cosmology down a tortuous path. That error —invalid conclusion, wrong road— occurred in the 19th century. Then, in the following century, that same wrong road eventually led a major branch of science into the Big Bang blunder and the fabrication of an associated creation myth. This strange combination passes for standard cosmology, whose defining feature is whole-universe expansion. Today in the 21st century the space sciences are still traveling along this same path in the same wrong direction. Standard cosmology is in the midst of a crisis. What follows should leave no doubt. One famous physicist/cosmologist, Hannes Alfvén (1908-1995) —a Nobel Laureate (plasma physics 1970) no less— came to recognize and boldly reject the implausible. He was not about to waste time on a road going nowhere. And neither was he going to waste words. To him it was patently evident that the big bang never happened ! What did happen is that those early pioneers, confronted with convincing evidence that cosmic space expands and presented with sound theory that space (the vacuum) must expand, wisely concluded that space indeed expands. But then some of those pioneers got carried away; they decided that the entire Universe must be expanding! The astronomers had their redshift measurements of apparently receding galaxies and the relativist theorists had their mathematical magic ... and the rest is history. The Big Bang was adopted as a result of an overzealous utilization of history’s grandest unscientific extrapolation. Problem was, and still is, that the extrapolation won’t work. There are serious problems with space-expansion extrapolation (think cosmic-edge paradox) as well as with temporal extrapolation (think beginning-of-universe paradox). Now for some of the details of the treacherous road of obstacles and pitfalls that impede the advancement of space science in general and cosmology in particular. The obstacles are the mysteries and unanswered questions that have led to a state of crisis. For the most part they are the direct consequences of the invalid BB cosmology. Most are simply unresolvable within a universal-expansion paradigm. The following compilation is not in any particular order, except that it begins with the Big Bang’s primordial speck-of-almost-nothing and culminates with the devastating Crisis of 1998. The Big Bang universe is said to have originated as an infinitely small primordial atom of infinite matter density. But, according to cosmologist Edward R. Harrison [Harrison 1981, p229], “What happens at infinite density is not known, and for physical reasons it is probable that a singular state of this nature is unattainable.” Yet this atom is said to transform itself into the BB universe. Now is there anyone who would deny that a speck of almost nothing that contains almost everything is an outrageous paradox? The mystery of the primordial atom is so unfathomable, so paradoxical, that it can hardly qualify as science! The primordial atom is but a fantasy —an outright contradiction. This should more properly be called the mystery of the mechanism of gravitational collapse. The black-hole concept simply represents but one interpretation of gravitational collapse, one consequence of excessive matter concentration. In 1939 Einstein published a paper in which he showed that matter could not be so condensed that the Schwarzschild radius would fall outside the physical boundaries of the gravitating body and thus become a reality. Einstein had essentially proved that gravitational collapse does not result in a singular state; collapse does not result in a black hole. (Unfortunately Einstein’s finding was not properly appreciated and never incorporated into the dominate view. Peter Bergmann, one of Einstein’s students, in a book The Riddle of Gravitation he authored many years later, played down the significance of the 1939 paper by stating that Einstein “attempted to show” that matter could not be so concentrated as to form a black hole [Bergmann 1992, p131]. Bergmann, who had obviously become a fan of black holes, implied, with his choice of the phrase “attempted to show,” that Einstein’s proof had somehow failed.) Unfortunately Einstein’s sound reasoning on black holes was never adopted. The equally eminent J. Robert Oppenheimer, along with two collaborators, argued that when sufficient mass becomes concentrated it will collapse into its Schwarzschild radius, and it will do so because matter losses its stability to resist its own self gravitation [Bergmann 1992, p131]. The Oppenheimer team essentially proved that gravitational collapse does occur. If the concentration of mass-and-energy is great enough, nothing whatsoever can prevent the collapse. Here again, there is sound reasoning backing the argument. The relevant question then is: But what is the nature of this collapse? The gravitational-collapse mystery has the most amazing resolution. It turns out that under the New Cosmology resolution Einstein and Oppenheimer were both right! The resolution that eludes mainstream thinking is that gravitational collapse does not imply the formation of black holes. Astronomers have found many galaxy pairs and galaxy groups in which the members are evidently close to each other —even interacting— yet have redshifts that are radically at odds! Their redshifts don’t make sense: If two galaxies are roughly in the same place then their measured redshifts should agree with each other, since redshift is supposed to be a measure of their distance (although the redshift may include a relatively minor Doppler component due to local motion). The observational fact that they don’t is considered anomalous. The mystery is in the cause, and also why some of the anomalies are so extreme. If the universe is expanding, what in the world (or whatever) is it expanding into? Furthermore, if it is expanding into a nothingness-void (or whatever), why isn’t that considered part of our universe? The Expanding-type universe based on general relativity is able to solve the cosmic edge riddle by mathematically zippering the boundary "edges" together resulting in a seamless cosmos. Don't try to visualize this. It only works mathematically. The curvature of space is a mathematical concept; a mathematical contortion of spacetime coordinates; a mathematical formula. Curvature is a concept that wonderfully describes what gravity does to things like stars, objects, and light beams. Unfortunately no one seems to know what this curvature actually is. Yes, of course, we all know that mass curves space; but what in the name of reality does that mean? What is it that matter does to surrounding space? ... Does it flash geometric equations? ... Signal with tensor matrices? And so, another mystery —a mystery that extends into the spatial curvature of the entire BB universe. Hence, we find in research papers, and popular articles, numerous references to the space curvature problem. For many years the question used to be, "Is the curvature of the universe positive (closed), negative (open), or flat?" Sounds like a simple enough question to solve —given our modern observational sophistication. Anyway, a solution was found, but amazingly the mystery has deepened. The two part question now being asked is: Why is the universe negatively curved?! —and yet at the same time appear so flat?! What is it to be, hyperbolic curvature or zero curvature? It is best to reserve judgment until better data is obtained. Mainstream cosmology tries to avoid this puzzling pitfall. The topic is rather embarrassing. The truth of the matter is that both the open and the flat BB universes (these are the versions that have the universe expanding forever) are based on a paradox —actually a double paradox. And what is so embarrassing is that it is the worst kind of paradox one could have in any theory —thermodynamic law violation. It is useful to understand the basic fact that heat energy is disordered energy and is therefore the highest entropy form of energy. And we all know that at the primordial big-bang-moment things were hot —really, really hot! In theory, the temperature was at its maximum. Naturally we should be able to assert that entropy was also highest at that moment at the birth of the BB universe. Now if entropy is maximum in the early big bang, then how can entropy increase as it is supposed to during the subsequent evolution of the universe? Entropy is already at maximum! How can it increase further? And yet thermodynamic law says it must increase! ... A paradox. Recall that the primordial fireball was a thermal state—a hot gas in expanding thermal equilibrium. Recall, also, that the term ‘thermal equilibrium’ refers to a state of maximum entropy. However, the second law demands that in its initial state, the entropy of [the BB] universe was at some sort of minimum, not a maximum! What is more, the open/flat universe (this includes the currently popular accelerating version), by definition, expands forever. As it expands its regional average temperature becomes colder and colder. In time, stars die, galaxies collapse, black holes evaporate. Left-over radiation is relentlessly redshifted (a consequence of universal space expansion). The temperature —the measure of the weakening radiation— drops. The temperature in all regions of the universe approaches the ultimate low of absolute zero. And in tandem, entropy approaches its ultimate low value. By definition a system at absolute zero has zero entropy. So the universe ends up having an ultimately low entropy when it is supposed to end up (according to proven physical law) in a maximum state of disorder (i.e., high entropy). And we are left wondering: How can it be that entropy decrease in this supposedly natural and closed system —the BB-expanding-universe system? The second law is clear, entropy must only increase or remain constant! Again, a paradox. Widely separated regions, billions of light years apart, are in similar states and are dynamically synchronized. We would feel more comfortable with this amazing state of homogeneity if we could explain why it exists. It is also known as the uniformity paradox. “A major paradox in cosmology is the near uniformity of the universe” is how it was explained in Scientific American Jan 1999 [Bucher & Spergel 1999, p69]. As happens with bad theories, there is a deeper confounding level to any mystery. Such is the case here. Because the BB is an evolving cosmos, there is an additional perplexing aspect to the uniformity paradox: Why does the distant past look practically the same as the near-and-present?! Looking 10 billion years, even 13 billion years, into the past looks very much the same as the present. That’s not the way it is supposed to appear in an expanding universe! Metaphorically speaking, the challenge here is to explain how something, say a building, can look almost the same before and after it is ballistically blown apart. The situation is this: Not only is the BB universe everywhere uniform now; but it also appears to be uniform in time. Past and present, then and now, are evidently uniform with each other. In other words, the supposedly evolving BB universe seems strangely not to be evolving! ... Any objections to calling this the cosmic-evolution paradox? And yet, the resolution is so utterly obvious. After the cosmology crisis of 1998 the problem became: Why is the balance tipped in favor of an open universe doomed to expand forever? Notice how the course of BB cosmology is often a matter of replacing one problem with another. In addition to the Fatness problem there is also an Oldness problem. Both are rooted in the criticality of the universe’s total matter density. For the Flatness problem, if the matter density ratio deviates from the critical value, the universe will either collapse (making it a closed universe) or expand (making it an open universe). It seems that certain objects in the Universe have been found to be older than the BB universe itself. A somewhat embarrassing situation. Among the most ancient observable stars are those found in globular star-clusters some of which are located near the Milky Way galaxy. Estimates of their age, based on calculations of how fast stars burn their nuclear fuel, have ranged from 10 to 20 billion years (depending on the values of the various parameters used) [Krauss, p56]. Such objects appear to be older than the BB universe. Science News, March 30, 2002, reported the discovery of the most distant galaxy to date. The redshift measured 6.56, the highest ever recorded. According to BB cosmology the object lies more than 13 billion lightyears from Earth, and by implication existed a mere 780 million years after the initial big bang. Another team of astronomers was reported to have imaged a primordial grouping of galaxies —making it the most distant known cluster. Think about what this means. For BB believers it means fully formed galaxies and complete galaxy clusters all less than one billion years old! But, of course, galaxies simply cannot form in such a short time. Hence, an Age paradox. The following statement was true when it was written in the 1980s. For BB believers it is still true today. How the original unstructured universe evolved into its present highly structured state is a major unsolved riddle in cosmology. The structure being referred to here is not of galaxies themselves but the structure of the grouping of galaxies —the way they cluster, the way they arrange into superclusters. Rich superclusters and voids form a quasi-regular lattice; ... However, there are several problems not solved yet. [Such as] How large is the region of the regular superclusters-void network? ... Finally, the theoretical questions: Why is there a preferred scale and why does it have a [specific] value? ... no experimental result can be taken seriously if not explained theoretically. Also further theoretical analysis is needed to find the physical origin of the scale and the extent of the regularity. Let me make this clear: Astronomer Einasto, in his 2003 Paper, is telling us that we should not take seriously the observed cellular structure of the Universe because none of the BB theories predict or support such findings!! Professor Einasto seems unaware, or just unconcerned, that the BB failed in 1998, that it is time to abandon the BB road-to-nowhere, that it is time for a reality check. An entirely new roadmap is available. But who will risk a change of direction? Certainly not the theorists trained and indoctrinated under the Expansion-universe paradigm. While extremely reluctant to accept new ideas, they are completely immune to revolutionary proposals. The veracity and extraordinary explanatory power of a new theory is of no concern, but is simply dismissed as an intriguing curiosity. Sadly, such is the effectiveness of the mind conditioning, the Pavlovian compliance to the official worldview. Evidently the steering wheel of the BB wagon is stuck, as we witness the BB Designers searching for intelligibility, unfortunately in the same old wrong direction. The situation is so desperate that they are willing to try almost anything. For instance, some cosmologists have decided that understanding is now to be sought in, of all things, “randomness”! That’s right, chaotic processes! 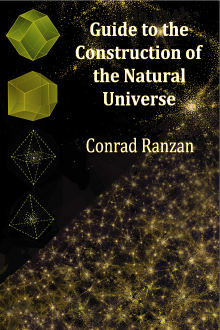 BB cosmology is now, and has been for some time, focusing on the disorder of structure, or randomness: “The naïve notion that at some scale the cosmos becomes uniform has been replaced by an appreciation that the large-scale structure of the universe must be understood in terms of random processes.” [Landy 1999, p38] Although this quote, which was made by astrophysicist Stephen D. Landy, expresses optimism that the new understanding will “help in untangling some of the thorniest issues in cosmology”; the "new insight" only serves to further misdirect the unroadworthy BB model. New understanding? New insight? Not to mention a new working relationship between astronomers and theoreticians: Astronomers find patterns, while astrophysicists predict chaos! It is a strange relationship that keeps the BB wagon rambling along: While Jaan Einasto observes orderly cosmic-cell structure, professor Stephen Landy orders-up a theory of disorder! What can I say? ... If you don’t understand the workings of the Universe, the real Universe, simply call them “random process.” But take note, randomness may lead to confusion. Nevertheless, for some of the faithful professionals it seems that confusion is a good sign, as expressed in the next comment. BB cosmology has been under construction during many many years. How long? Since 1932, to be exact. When will the weary crews notice that the structure, the efforts of their labors, lacks a proper foundation? When indeed. Meanwhile, other mysteries demand attention. The Cosmological constant has to do with the energy associated with space, that is, the vacuum of space. Energy, like mass, produces a gravitational effect; and because the universe is practically a sea of vacuum, the energy of (or within) that vacuum must have an enormously powerful effect on the gravitational behavior of the BB universe, on its rate of expansion or contraction. A positive-valued Cosmological constant is generally associated with an expansion scenario. Astronomical observations into the deepest corners of the universe have found the vacuum energy to be surprisingly small, practically negligible. It is the smallness of the observed value that gives rise to the greatest quantitative mystery ever encountered. While the measured value is miniscule, the theoretically predicted value is unimaginably large. The difference is unequivocally irreconcilable. No amount of tinkering with theory parameters will work. And this is why a complete cancellation effect is sought. The heart of the Cosmological-constant mystery lies in the nature of the cancellation mechanism. There are two factors to consider here; the first relates to the observed smallness. An elementary fact, a basic-physics and non-controversial truth, is that vacuum expansion is a positive-energy effect and vacuum contraction is a negative-energy effect. It so happens that vacuum expansion and vacuum contraction may occur in segregated regions and totally cancel each other. Properly configured, it works as an ongoing steady-state cancellation effect. Operating as it does on a cosmic scale, it is a truly simple and elegant cancellation mechanism and is, in large part, responsible for the cellular structure of our universe. Now here is an ironic dilemma with a paradoxical twist: The foregoing proven-to-work resolution is not available to the BB theorists. The reason is self-evident. Solving the enigma of the observed small Cosmological constant by this method would utterly destroy the Expanding-universe paradigm. If the resolution of balancing space expansion with space contraction were to be adopted, then there would be nothing driving the expansion of the whole universe —there would be no Big Bang! Thus, in BB cosmology, the first part of the Cosmological-constant mystery will always remain a mystery. The second factor in the cancellation relates to the absurd theoretical value. Mainstream cosmology, having ignored (or missed) the important message contained in Einstein’s Leyden lecture, has a deep misconception of the nature of the vacuum. As a concluding remark, the resolution of the cancellation enigma can only be found within the new paradigm. Therein, the quest for the Holy Grail of the Cosmological constant leads, on the small scale, directly to the subquantum nature of vacuum and leads, on the large scale, directly to the cellular nature of the stable-and-nonexpanding universe. I have cited a mathematician, a particle physicist. Let me also cite an astronomer-astrophysicist. Significantly and not by happenstance, the latter Scientific American article gives no source, no causation mechanism, for the angular momentum. This glaring omission takes us to the next impasse along the BB road. The pivotal question here is What is it that starts galaxies spinning? ... Check any textbook or research paper. You will find no clear answer. Nowhere will you find the root cause of the rotation of galaxies! It is suspected that the cause of rotation has something to do with galactic close-encounters, such as galaxies approaching each other and somehow entering into an orbital relationship ultimately leading to a merger and a concentration of angular momentum. The problem is, why would field galaxies be moving in opposing directions in the first place? Although getting a pair of galaxies to start orbiting each other is not a simple matter —theoretically they should simply fly past each other on a hyperbolic trajectory— once the orbiting is initiated then a lengthy process of merge into a spinning spiral galaxy becomes inevitable. But the underlying problem remains. The deep mystery in standard cosmology is why any two galaxies, other than those falling into the core of some galaxy cluster, would be heading in opposing directions!? In general, all galaxies are supposed to partake in a universal expansion; all are part of one-and-the-same explosion-like expansion; all heading in the same radial direction. Galaxies do not bounce off cosmic walls and they certainly do not change direction on their own. Strangely, within dense galaxy clusters, where you would expect much turbulence and many encounters to occur, spiral galaxies are relatively rare. While in isolated and less-dense regions, where you would expect sedentary elliptical-type galaxies, spirals are abundant. How paradoxical! A fundamental question: Is the universe limited or is it limitless in size? This mystery does much to expose the lack of predictive potency of BB cosmology —unable to officially commit itself to either finitude or infinitude. It sounds paradoxical but its underlying theory of general relativity allows the Big Bang to be spatially finite or infinite. The penultimate mystery surely must be the enigmatic effect known as gravitation. Most truth seekers seem to agree that the riddle of gravitation ranks second only to the mystery of existence itself. Newton’s theory of gravity provided a functional numerical description of how matter-to-matter attraction works but did not explain what gravity is. In 1916 Albert Einstein perfected the mathematical analysis of the phenomenon. His general theory of relativity is considered the current standard theory of gravitation. The theory gives an amazingly precise description of the gravitational distortion of space; matter tells space how to curve, while the curvature of space tells matter how to move. But why? and how? is left unexplained. 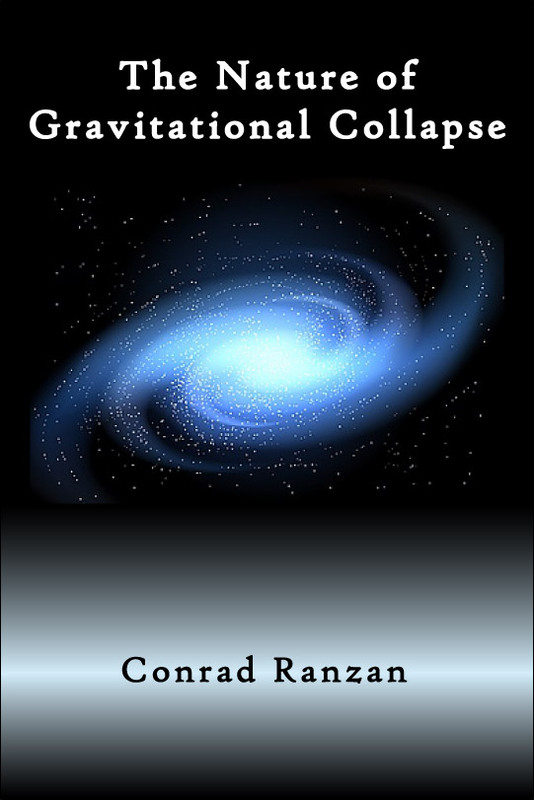 This missing explanation for the cause of gravity is probably the reason that Einstein’s distinguished student, Peter G. Bergmann, titled his book "The Riddle of Gravitation" (Dover Publications, Inc., New York). In standard cosmological models it is a mystery how matter manages to curve the space around it. It is a mystery how matter senses and responds to space curvature. How indeed does matter/energy curl up physical space? What about gravitons, you ask? You can really get lost in this Gordian mystery as you enter the twisted realm of topology and multiple higher dimensions. Unraveling the topological shape of the universe involves the esoteric branch of cosmology that is explored exclusively by mathematicians. We don’t hear much about successes in this field simply because there aren’t any. The mathematical complexity is so multi-layered that the challenge is in knowing when you’ve arrived at the answer, for the answer may be even more complex than the original question. For instance, the simplest version of string theory proposes that the universe has nine dimensions. Not five, six, seven, or eight, but exactly nine! The mystery here, at least for the rest of us who still like to think in terms of objective reality, is this: Why bother with higher dimensions when the real universe has only three spatial dimensions (and time is only a mathematical contrivance for the sake of convenience)? Lest my fellow travelers become weary along this road of a failing cosmology they may be consoled by the assurance that clear and definitive resolutions for all the mysteries being encountered are available. Remember the fork in the road described earlier. There lies the road of resolutions —that other road, rejected and by-passed back in the year 1887. Be assured an entirely different experience is in store, one that will fulfill our need for clear, objective, intuitive, and self-consistent answers. It is the road that the new cosmology, the DSSU, follows. The Planck scale is where small becomes really really small. This mystery deals with the fundamental nature of space and space-time on a scale of quantum units —a truly unimaginable small scale. Treat this one with deep respect —for this is the mind-boggling mystery where cosmology, the science of the ultimately large, meets particle physics, the science of the ultimately small. Standard cosmology has been, for several decades, in search of what used to be called the missing mass, but is now called dark matter —the stuff supposedly needed to produce the "observed" gravitation. Not only embarrassing, but by now, downright discouraging. Conventional cosmology is in dire need of a prodigious amount of dark matter for the purpose of explaining (1) the spiral galaxy anomaly (whereby the galaxy as a whole rotates far too quickly according to Newton’s theory) and (2) the cohesion of galaxy clusters. Without dark matter, according to the conventional argument, spirals and clusters would fly apart for lack of gravitational mass. The dark matter has never been seen, which is not surprising —it’s dark. The problem is that it has never been detected by any means whatsoever. The mystery is that the academics in the field have no idea what constitutes this dark stuff! A helpful tip for those new to the subject of cosmology: When you see the word “inflation” in connection with mainstream cosmology it simply means a super fast Big Bang genesis. Yes, it’s faster than a speeding bullet —even faster than the speed of light. Does it violate the laws of physics? Probably not. Conveniently, during this early evolutionary stage, the laws of physics were still being coded and had not been finalized. It seems, the proponents of the inflation hypothesis use a strategy by which laws are menu-ordered as needed. There is, however, the peril of ordering-up an unpalatable law. The risk lies in choosing wrong and having no way of checking, no way of validating. Confronted with frantic expansion faster than lightspeed and fickle laws of physics ... what can I say? With no constraining ties to reality, science becomes impotent! The pursuit of objectivity becomes meaningless; and Academic cosmology becomes modern myth-making. Inflation is a make-believe mystery. Despite the rough going the establishment is committed to staying the course. The practitioners of the BB hypothesis know the problems. They know the seriousness and extent. And they occasionally express doubts about its validity —warning us that there may be flaws, helpfully labeling their "product" with disclaimers. Anyone with even a passing interest in space science is familiar with this unforeseen development that occurred in 1998. In that year the research into the decay of distant supernovae events revealed that these objects are actually considerably farther from us than had been expected. The findings were so contrary to theory that at first there was considerable doubt. It was only after another study, by an independent team, came to the same conclusion (that these "standard candle" exploding stars were 20% to 25% farther than expected) that the crisis hit home. The standard theories of the universe, the hot big bang model and inflationary big bang model, had predicted that the matter in the universe thrown out by the "big bang" should decelerate as gravity acts to slow down this matter and eventually pull it all inward in a "big crunch." But now, it seems, the opposite is true: the speed of expansion of the universe is increasing! Mysteriously, the universe is now accelerating —or so it is believed. The old standard Big Bang theory failed a key reality check and lost credibility. In a perfect world the 1998 experiments would have doomed the BB model. But no. Instead of being dispatched, the theory was promptly patched and rehabilitated while a host of big bang variants appeared —a literal inflation of models. While any non-committed rational observer might ask “is the acceleration even real?” or is it only apparent? as Overbye asked in his New York Times Jan 1, 2002, article. Those committed to the BB cause were less cautious. They had an agenda —a road that had to be faithfully followed. And so, in 1998 astronomers and physicists convinced themselves that the universe is accelerating —getting bigger and bigger, faster and faster. How exciting! But wait a minute. ... Now there is a new mystery! What’s driving this thing? Why is the universe accelerating? You can coast along on "expansion" but you need a force when you bring in "acceleration." No exception. ... Forget the minimal mystery of why the universe is expanding in the first place; now there is the utterly baffling mystery of why it is expanding with a vengeance! This road to new mysteries sounds like the same old wrong road we’ve been struggling along. A brief and much needed reality check: The Universe (the capitalized one, not the model one) does not expand. Perfectly valid principles —ones applicable to our 3-dimensional Euclidean cosmos— say it can’t. In science you simply cannot pick and choose fundamental principles irrespective of objective reality. Principles are valid not because they have been proven valid, but rather because they are reasonable and no one has been able to disprove them. All agree that the universe-is-everything principle is valid. Unless you can come up with a comprehensible answer to the question, What does the universe expand into? (and does not violate the all-inclusiveness idea) then face the reality that the Universe is already fully expanded —always has, always will be. Other Mysteries: The above compilation is by no means complete. There are others, equally fascinating. Mystery of the Photon’s Fate: It is said that everything, including photons, will eventually fall into some black hole. It is also said that black holes gradually, very very slowly, evaporate. In this process of evaporation, black holes are simply emitting photons and are essentially transforming themselves entirely into electromagnetic radiation (packets of photons). So, what then is the ultimate fate of all the photons? 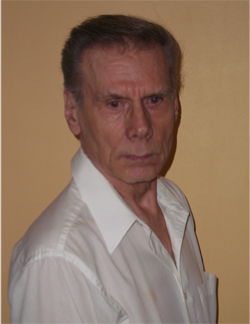 Olbers’ Paradox: True enough, Olbers’ Paradox has been resolved for the Expanding universe. However, since the real Universe is not expanding, it becomes necessary for this paradox to undergo a complete overhaul. Thanks, in large part, to the discovery of a new mechanism for the cosmic redshift this centuries-old-conundrum now has a new resolution. The Mass Question: What is the simple mechanism that bestows the property of mass? With the well-publicized claimed discovery of the Higgs particle, itself a mass particle, the deeper mystery now is What bestows mass onto the Higgs particle? Arp, Halton. 1998. Seeing Red: Redshifts, Cosmology and Academic Science (Apeiron, Montreal). Bergmann, Peter. 1992. The Riddle of Gravitation (Dover Publications, Inc., New York). Bucher, Martin A. & Spergel, David N. 1999. Inflation in a Low-Density Universe, Scientific American Jan 1999. Einasto, Jaan. 2002. The Structure of the Universe on 100 Mpc Scales, in The Ninth Marcel Grossmann Meeting (2000 July). Proceedings ed. V. G. Gurzadyan, R. T. Jantzen, & R. Ruffini, p291-300, 2002 (http://adsabs.harvard.edu/abs/2002nmgm.meet..291E). Ferris, Timothy. 1988. Coming of Age in the Milky Way (William Morrow and Co., Inc., New York). Genz, Henning. 1994. Nothingness, The Science of Empty Space (English translation edition, 1999; Perseus Books Publishing, L.L.C.). Halliday, David; Resnick, Robert; and Walker, Jearl. 1997. Fundamentals of Physics Extended, 5th Edition, (John Wiley & Sons, Inc., New York, 1997). Harrison, Edward R. 1981. Cosmology, the Science of the Universe (Cambridge University Press, Cambridge, UK). Kauffmann, G. & Bosch, F. 2002. The Life Cycle of Galaxies, Scientific American Cosmos 2002. Krauss, Lawrence M. 1999. Cosmological Antigravity, Scientific American Jan 1999. Landy, Stephen D. 1999. Mapping the Universe, Scientific American June1999. Lerner, Eric J. 1988. The Big Bang Never Happened, Discover, June 1988. Magueijo, João. 2002. Plan B for the Cosmos, Scientific American Cosmos 2002. Martin Jr., Roy C. 1999. Astronomy on Trial: A Devastating and Complete Repudiation of the Big Bang Fiasco (University Press of America, Inc, Lanham, Maryland). Overbye, D. 1999. Lonely Hearts of the Cosmos (1999 ed. ; Little, Brown and Company). Peebles, James E. 2002. Making Sense of Modern Cosmology, Scientific American Cosmos, 2002 Vol 12, No 2. Penrose, Roger. 1990. The Emperor’s New Mind (Oxford University Press, New York). Rees, Martin. 2002. Exploring Our Universe and Others, Scientific American Cosmos 2002. Russell, Bertrand. The Wisdom of the West, Editor Paul Foulkes (Crescent Books, Inc., & Rathbone books Limited, London. Reprinted 1977 & 1978). Weinberg, Steven. 1992. Dreams of a Final Theory (Pantheon Books, NY).